He was born on 9th November 1856 in Dublin , the eldest son of William Barclay Browne Scriven, a Physician, and Sarah (nee Hamilton ). His grandfather, Henry Alexander Hamilton, bequeathed to his parents when he died in 1901, the Hampton Estates including Hampton Hall, Balbriggan (north of Dublin ), as well as properties in Dublin , City and County, Longford, Meath and Kildare. He was christened on the 4th December 1856 at St. Peters in Dublin . His brother was Rev. Roland Scriven who became curate of the parish at Hampton Hall. George was educated at Repton School , and Dublin University (M.B. 1880, B.Ch. 1881, M.D. 1884). He played rugby for Wanderers, Leinster and Blackheath. After he produced some excellent performances for his University he was selected to play for Leinster against Ulster on 2nd March 1878, and Munster on 3rd December 1878 witnessed by 5,000 spectators. It was his performance for Leinster against Ulster in January 1879 that forced him into the Ireland side for his debut against Scotland . He was one of nine new caps in an Irish side that had lost every game it had so far played. 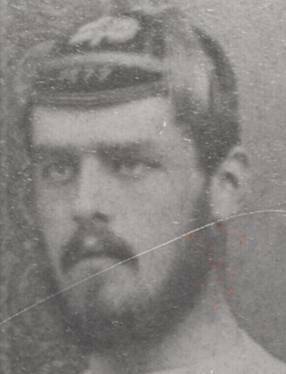 The only games I can find a record of that he played for Blackheath were on 19th November 1881 against Oxford University and 4th November 1882 against Cambridge University . George was unique in Irish Rugby history in that he became President of the IRU (1882-1883 and 1885-86), chairman of the selectors, and captain of the Irish team. He played 8 times for Ireland , twice as captain in his last two internationals. 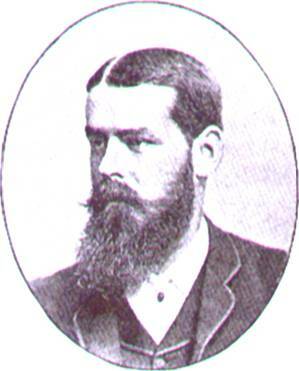 He refereed the 1885 match between England and Scotland in which England’s winning try was disputed and led to the cancellation of the fixture and ultimately to the formation of the IB. He married Violet Fetherston on 15th December 1900. She was the eldest born of Stephen Radcliffe Fetherston and Jane (nee Boyce). Both George and his wife appear in Burke’s Peerage. George, like his father, became a physician in 1884. Practising at the Dublin Homeopathic Hospital at 33 St. Stephen’s Green, Dublin (he was resident there in the 1911 Irish census) and then a Consultant at the London Homeopathic Hospital . He was a Magistrate for co. Dublin , a member of the Alpine and Junior Constitutional Clubs, and University Club, Dublin . His son Lt. Col. William Hamilton Scriven was born on 3rd May 1903 in Dublin . His daughter Elsie F. Scriven was also born in 1903 in Dublin . In 1928 George Scriven’s old home, Hampton Hall, was sold. Later it would become the venue for the summer camps of the Irish Hitler Youth before World War 2. The house still stands and is still a private residence. 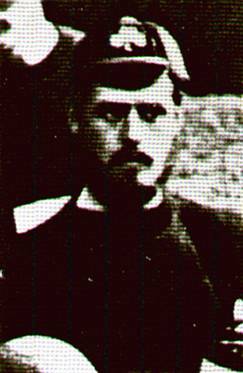 George died on 18th December 1931 at Brown Gables, Lower Bourne, Farnham, Surrey , his son’s house. His funeral took place at Frensham. His son died on 7th January 1985. 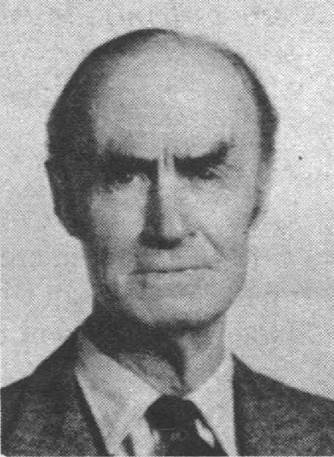 His obituary appeared in the British Medical Journal on 23rd February 1985.